Pocono Spring Estates holds it's Spot in the Northern Poconos as the Best of the Poconos Northside! A Fabulous location as it's just North of Mt Pocono and South of Lake Wallenpaupack. There are 2 Gated Entrances and Exits and Pocono Spring Estates stretches threw 3 Different School districs including North Pocono, Wallenpaupack, and Western Wayne School Districts. 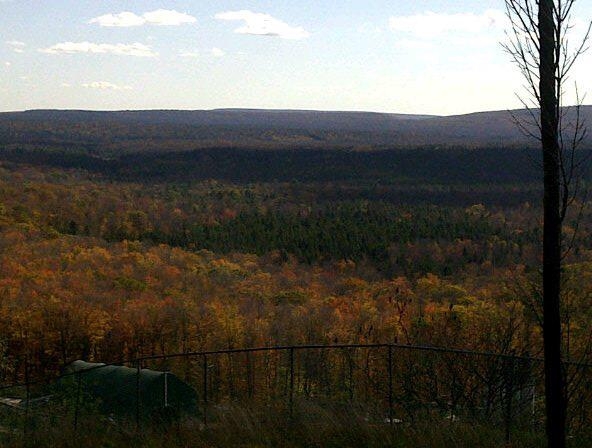 Pocono Spring Estates sits high in the Pocono Mountains and has over 4,000 Properties with Many Magnificient Homes! This Community is very Green as it Borders PA State Gamelands. This Certainly leaves much room for Wildlife including Whitetail Deer, Wild Turkey, Black Bear, Bald Eagles, and Red Tail Hawks! Pocono Spring Estates is also no Stranger to Pocono Mountain Amenities. Enjoy a Beautiful Sunset on the 133 Acre Crystal Lake! There is a Recreation Island, a Heated Swimming Pool, Basketball, Handball, Tennis, and Bocce Courts, 24 Hour Security Patrols the 56 Miles of Internal Roads, and there are Several Green life Refuge Areas. This is a Wonderful Community that Captures your heart with it's Peace and Tranquility that is found nowhere else, and it's Many Amenities that Assure you and your Family a Fun Filled Vacation Experience! Enjoy the Community Amenities, Peaceful and Very Green Down to Earth Like Settings, and Wildlife Spottings! Bald Eagles fly over this Community so get your Cameras Ready! CLICK HERE to Contact Me or to know more about this Lovely Pocono Mountain Community, See Listings, Set up Appointments, or to know more about other Perfect Pocono Mountain Amenity Filled Communities! CLICK HERE to get a Free MLS Search at my Website!